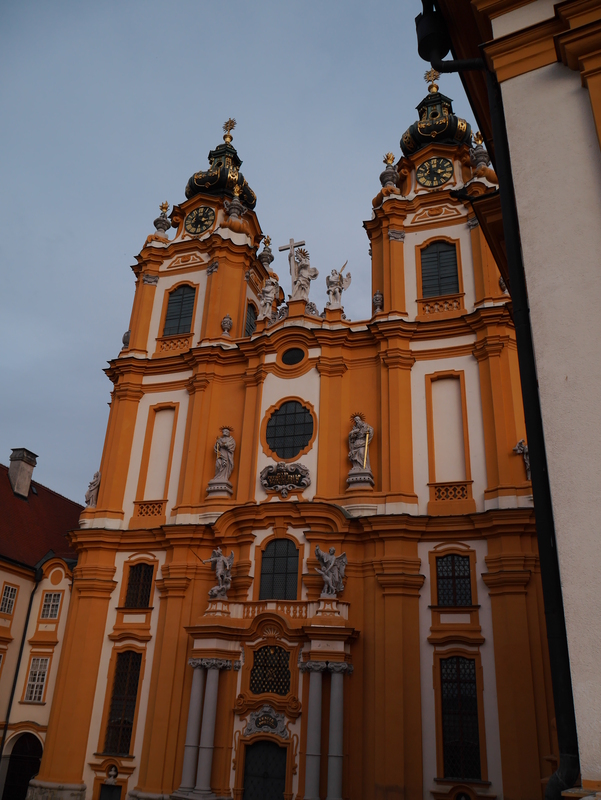 Thursday, December 26th we got to visit Durnstein and Melk, Austria. We arrived in Durnstein in the morning and had just enough time to explore the town. 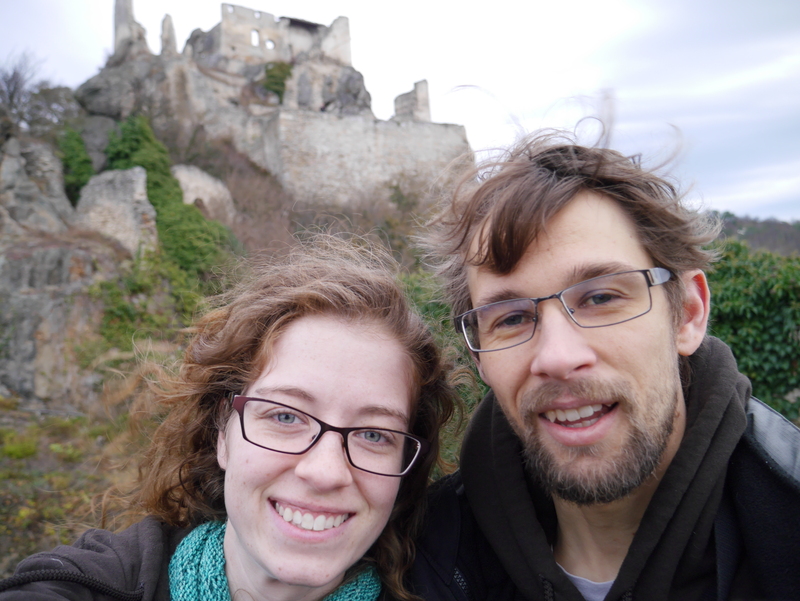 We walked through the town and then up a hill to the Durnstein castle ruins. 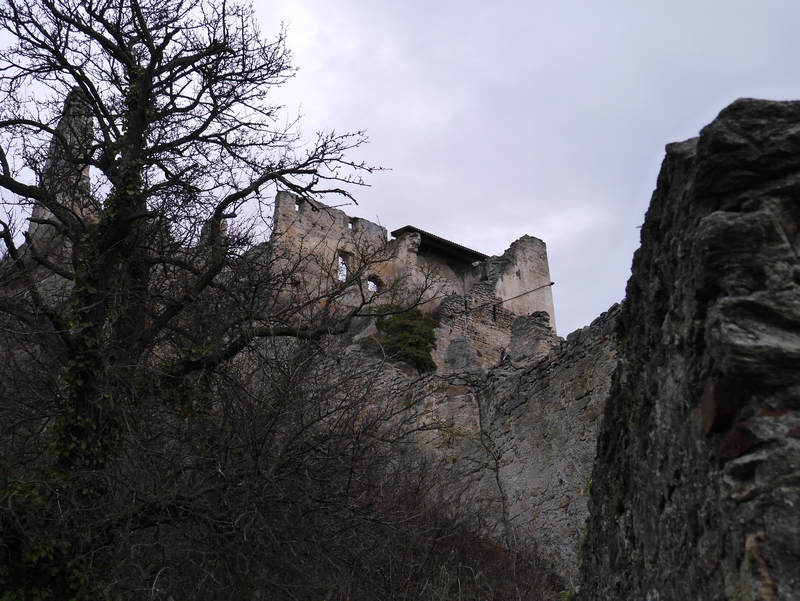 These ruins once held Richard the Lionheart imprisoned. It took about 20 minutes to walk to the top and it was nice views the whole way. This part of the Danube River is said to be the most beautiful and I would have to agree. There was still much green here, which brightens my mood any day. I enjoy walking and hiking too so I was pretty happy. The town is adorable as well. Small buildings all squished together. Little courtyards with small gardens. Vine-covered walls and cobblestone streets. This is a place I could visit again. The ruins were awesome as well. 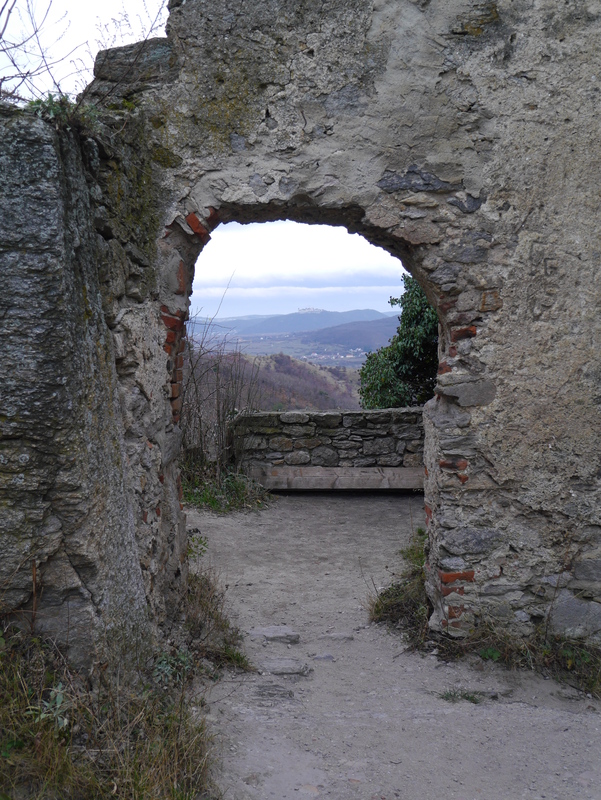 They were at the top of the hill, allowing a lovely view of Durnstein below. Only a few walls still stood but it was cool to explore and think about how this used to be a place where people actually lived. It is said that Richard’s jester or steward (I have forgotten his position) traveled around to different castles, singing a song that only himself and Richard knew. He continued singing at each castle until he came upon Durnstein and Richard joined him in his song. Then the jester knew where he was and was able to help free him. This tale is likely false, but it’s nice to think about. We walked back down to our ship after a bit because it was going to take off soon. The walk back was just as pleasant as the walk up and we got to see different parts of the little town. We soon took off from Durnstein and headed towards Melk. Our program director pointed out interesting parts of the journey and discussed the area. 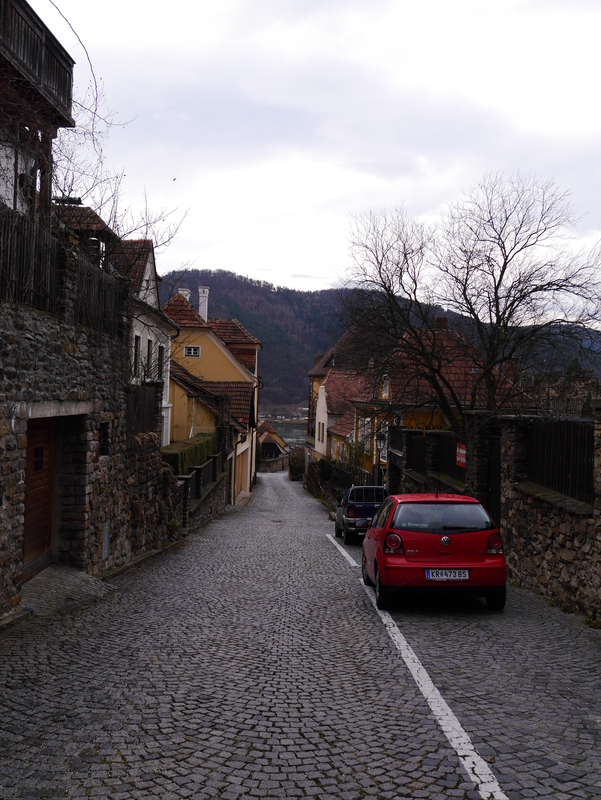 The area is called Wachau Valley and is popular for its vineyards. There are so many vineyards that they start to blend together. There are many ruined castles and beautiful churches that line this part of the river as well. It was so pleasant to sit on top of the ship and watch the lovely scenery go by. For lunch we had the option of trying some Austrian food. I had some pretzels, sausages, some kind of potato salad, and surprisingly, fried chicken. I’m not sure if fried chicken is a specialty of Austria but I have to admit that I like fried chicken from the U.S. better. Everything else was delicious though and I ate all of it gladly. A bit after lunch we arrived in Melk, Austria. 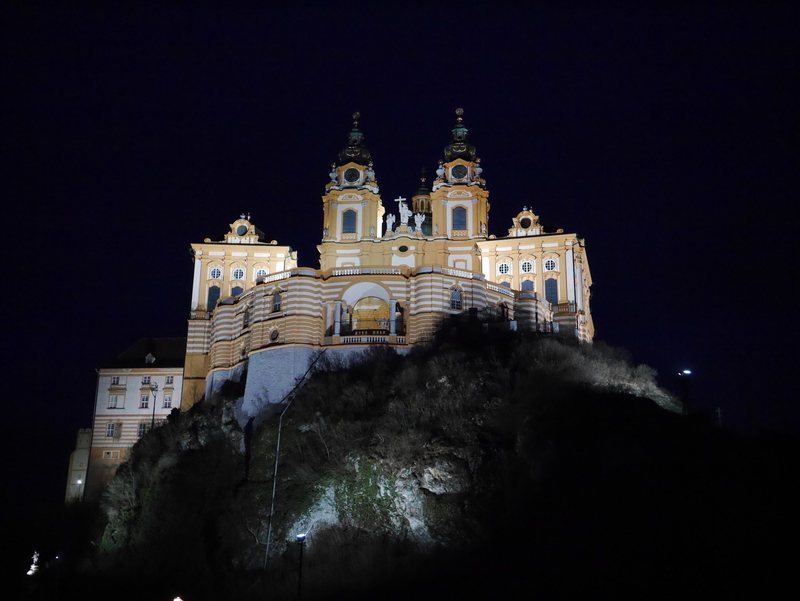 Melk is the home to a 900 year old abbey. We took a tour of the abbey and then were given free time. The abbey is quite large but we were only allowed to see a certain part of it. The facade was rebuilt in the early 1700s due to a fire so it does not look as old as it actually is. Restorations and updates are always being done to keep up with the times. There are only about 30 monks that live and take care of this abbey but many more people work in it. The abbey has a school for local children, a museum for visitors, a church, a library, and more rooms than I can count. We were able to visit the museum, library, and church. The museum was quite interesting because it was done in a modern museum style. It was not traditional in the slightest except for the old items that were displayed. I was not expecting that at all. I have to get the monks credit for trying something new and out of the ordinary. The library was so cool but I was bummed I couldn’t read any of the titles since they were all in German (and possibly some in Latin). There were so many books and we didn’t even get to see half of them. The cool thing is that the library is still used to this day. How awesome is that?! 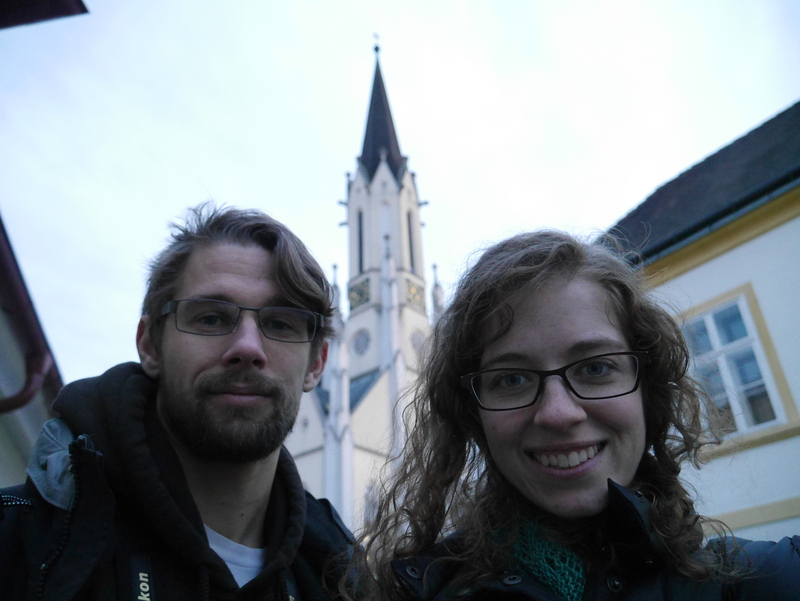 After the tour we walked around Melk before going back to the ship. This little town was cute too and I really enjoyed exploring it. We eventually found a park with a fun playground. Gene and I played on a seesaw for a bit before I got on some kind of merry-go-round tire thing with Gene, Lydia, and Ben. We then all rode on a little zip line we found. That was the most fun. It felt so nice to just play and forget about everything. Eventually we made our way back to the ship where we had dinner and then took part in a music trivia game. And guess what? Our team won! We got champagne as our prize and it was so much fun. Lydia and I went up on stage and danced as the music played (we got a bonus point each time we did). I had a blast and am glad I ended up taking part. This day was one of my favorite days on the cruise.